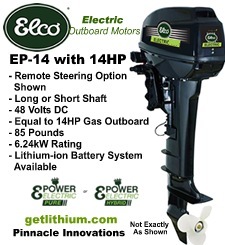 A great, lightweight 24 Volt lithium ion battery with 75 Lithium Amp Hours Reserve Capacity, 175 Reserve Capacity (RC) minutes and 1,920 Total Watt Hours capacity. 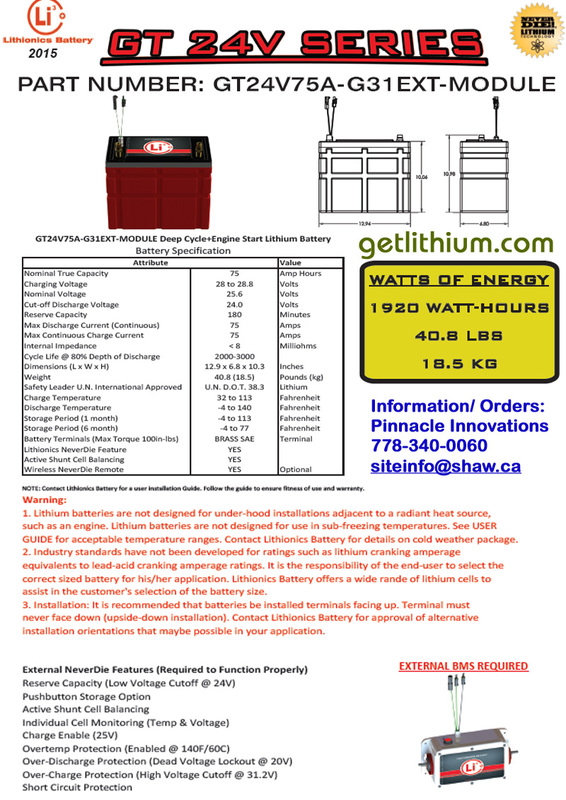 8M NeverDie means this battery is rated for 100 continuous amps draw. 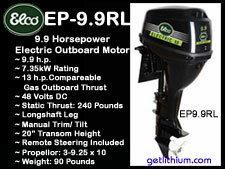 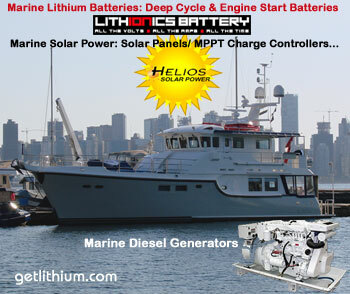 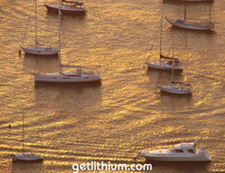 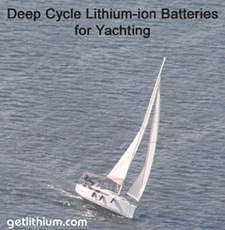 This extremely versatile battery can be used for a wide variety of applications including Deep Cycle House Power for RV and Marine applications as well as a diesel engine cranking battery for Truck Engines and for Marine Engine Starting (including Outboard Marine Engines) on sailboats and yachts up to 6.2 Liter Engine Displacement. 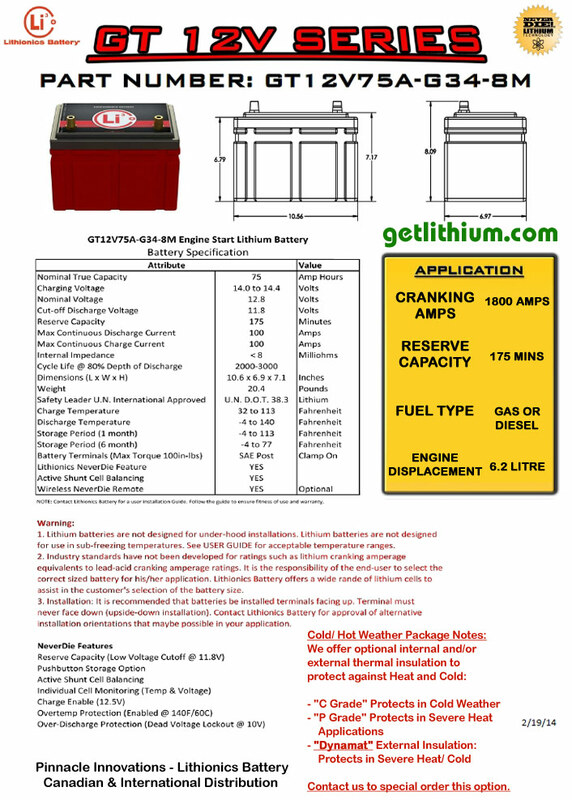 NeverDie Battery Management System included (pushbutton reset/ shut down).